Thousands of traffic accidents happen across the nation every day. 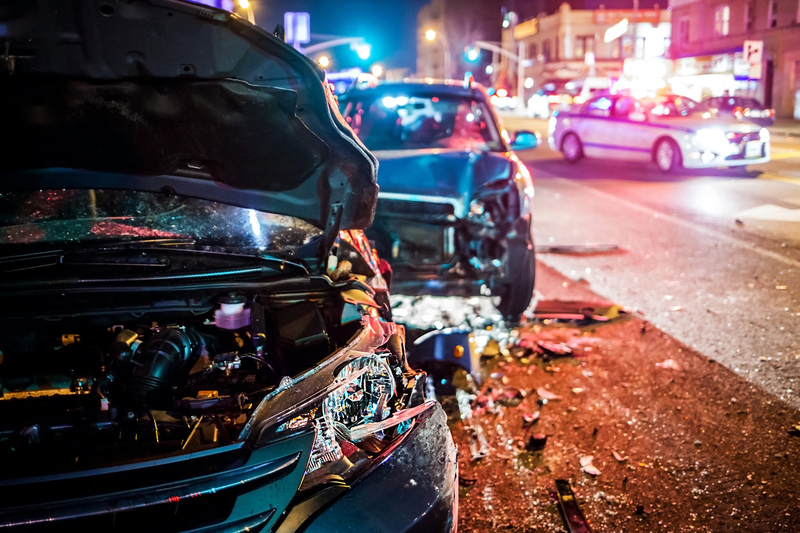 Most of these accidents can be attributed to driver negligence. However, drivers aren’t always to blame. Unsafe and dangerous road conditions contribute to a staggering number of car accidents every year. As a result, thousands of drivers, passengers, and bystanders suffer injuries through no fault of their own. Instead, they’re forced to struggle with painful and expensive injuries that could have been avoided if roads had been properly maintained. What Are Unsafe Road Conditions? Several unsafe road conditions can create circumstances under which traffic accidents are more likely to happen. Potholes are structural failures in the surface of a roadway. The dirt and soil beneath the asphalt shifts as vehicles pass over the road. Over time, the asphalt cracks and begins to come loose. Potholes tend to be most prevalent on roads that are routinely traveled by large, heavy vehicles (e.g., tractor-trailers, construction vehicles, big rigs, and buses). Many roads in the United States, particularly in urban areas, are designed to accommodate high-speed traffic. Guardrails and barriers dividing opposing traffic – vehicles traveling in opposite directions – help to reduce severe head-on collisions. Failure to install or maintain guardrails increases the likelihood of serious car accidents. Accidents are more likely to happen when drivers are unfamiliar with roads and traffic patterns. Road signs and traffic signs – including stop signs, speed limit signs, and intersection warning signs – give drivers the information they need to make safe and informed driving decisions. If signs are missing, drivers may drive into a create a dangerous situation. For example, if a stop sign is missing, a driver may barrel through an intersection and strike another vehicle. Road signs should be uniform so that drivers, no matter where they’re from, understand what they mean. Signs located near one another should also not be contradictory. Drivers who are confused by road signs and their obligations behind the wheel are more likely to get into an accident. Weather conditions contribute to approximately 11 percent of all fatal car accidents in the United States. These weather-related accidents are more likely to happen when vehicles are forced to operate on road surfaces that are covered in slippery ice and snow. Not all road surfaces are uniform. It’s common to use different materials to pave highways, overpasses, tunnels, and bridges. Failing to warn drivers about the changes in road surfaces can contribute to accidents. Why? These road surfaces tend to react differently to weather and water. Concrete used to pave a bridge or overpass may freeze before the asphalt used to pave the rest of a roadway. Drivers who aren’t aware of this may not slow down before driving over the bridge. Speeding on a frozen surface can be incredibly dangerous. Roads in the United States have become incredibly complex. They’re designed to accommodate a lot of vehicles and several traffic patterns. It’s imperative that these roads are paved with highly-visible and sensible lines. Lines not only guide traffic patterns but also inform drivers about how the roads must be navigated. Over time, lines can fade and lead to confusion. The shoulder is the space between a lane of traffic and the side of the road. Ideally, shoulders should be paved at the same level as the rest of the road. Accidents often occur when a shoulder drops more than two inches below the road surface. Heavy vehicles can do a lot of damage to road surfaces. Over time, wheels dig into the road surface and create grooves in the asphalt. This not only contributes to potholes, but also uneven road surfaces. Roads should be designed to allow drivers to navigate their vehicles safely. It can take time to fully understand the best options for a particular geographic area. Some roads in the United States are inherently dangerous because of their designs. Sharp turns, drop-off, blind curves, and improperly graded roads can all create hazardous driving conditions. Roads need to be maintained regularly. Many times, construction and maintenance interfere with the ordinary flow of traffic. Work areas must be highly-visible to all drivers and designed with safety in mind. Accidents happen when construction zones impede traffic or pop up without warning. How Do Unsafe Road Conditions Cause Accidents? Even the most cautious drivers can get into an accident when faced with unsafe road conditions. Drivers Lose Control: Unexpected hazards can cause drivers to lose control of their vehicles. This happens quite frequently when a driver swerves to avoid a hazard. The driver loses control of the vehicle, creating a situation that results in a crash. Drivers Aren’t Aware of Hazards: Accidents happen when drivers aren’t aware of dangerous conditions or local traffic patterns. Vehicle Damage: Potholes cause an estimated $3 billion in property damage every year. Vehicle damage may prevent a driver from steering or following traffic patterns. Confusion: Unsafe road conditions can breed confusion among drivers. When drivers are confused about traffic patterns or driving responsibilities, accidents are more likely to occur. Who’s Responsible For Unsafe Road Conditions? If drivers aren’t responsible for accidents caused by unsafe road conditions, who is? Many times, accident victims can sue the government agency responsible for designing and/or maintaining the roads. Generally speaking, the government is immune from liability in personal injury lawsuits. However, there is an exception to the rule. The government can be responsible for injuries that occur because of employee or agency negligence. This includes accidents caused by unsafe or dangerous road conditions. The government has a responsibility to provide safe roads for travelers. This means that roads must be designed safely and maintained regularly. If the government knows or should know about an unsafe road condition, it has an obligation to fix it. Drivers and commuters must be warned about the hazard until the government has the opportunity to make it better. If the government fails to address a dangerous road condition, it can be financially liable for harm that occurs. This includes costs for medical bills, property damage, lost wages, pain and suffering, and other damages suffered by accident victims. How can the number of accidents related to unsafe road conditions be reduced? The responsibility falls to drivers and government agencies. Pay attention to how other drivers navigate the roads. Embrace dedicated bike and pedestrian infrastructure. Road conditions are always changing. Hazards will exist. Government agencies must not allow conditions to get so bad that accidents are unavoidable. Drivers must use caution and report hazards when they develop. By working together, we can make roads safer for everyone.